At T R Ashworth Inc., we have tow trucks sized to handle all types of towing situations. Receive exceptional Emergency Roadside Service with T R Ashworth Inc.. We have various emergency services and experienced operators that can get you a new battery, give you a jump start, bring you a new tire, and much more. If your tire blows out, we are here to help you get back on the road. Please contact T R Ashworth Inc. at 919-552-4626 for professional roadside assistance. If you have a flat tire, we are more than happy to assist you. Please call T R Ashworth Inc. at 919-552-4626 for timely, professional assistance. If your vehicle's battery is dead, T R Ashworth Inc. can help you. Please call us at 919-552-4626, and our service professionals will come jump start your vehicle. The faster you call, the faster we can help you. Experiencing issues with your battery? 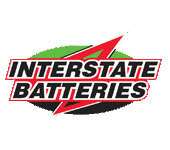 If you need a new battery immediately, we'll come replace it for you on the spot. Call T R Ashworth Inc.'s professionals today at 919-552-4626. If you are experiencing tire trouble, we offer roadside tire changes. To request service from our professionals please call us at 919-552-4626.